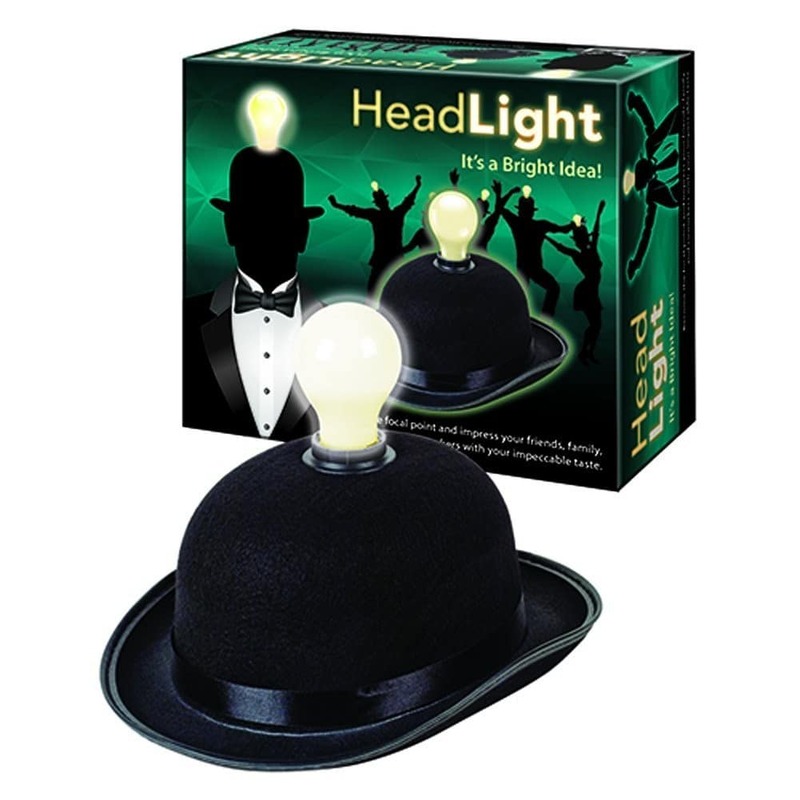 Headlight lightbulb hat is a great accessory for performances and events. The HeadLight is a lightbulb hat that will glow brightly and gather instant attention for any occasion. One size - fits all. Made of a black felt derby. 12 x 9 x 5 inches. Needs 3 AAA batteries (not included). Has an on/off switch for easy operation.